Washington D.C, April 10: Singer-songwriter Camila Cabello is soon going to step into the famous shoes of Cinderella. The Grammy-nominated singer is all set to make her feature film debut where she is slated to play the iconic princess Cinderella in the reimagining of the classic fairy tale, reported E! News. Apart from starring in the upcoming film, Cabello is also going to be integrally involved with the music for the film. Cabello celebrated the news by tweeting a since-deleted photo of the cartoon version of Cinderella looking shocked, reported People. The film will be helmed by 'Blockers' fame director Kay Cannon. Cannon is known for writing the 'Pitch Perfect' musical comedies and got her start working on NBC's '30 Rock', for which she earned three Emmy nominations. She made her directorial debut with 'Blockers'.Actor and television host James Corden will produce the film with his partner at Fulwell73, Leo Pearlman. The idea for the new take on Cinderella came from an original idea from Corden. Sony, the studio behind the movie, is putting the film on a fast-track to production. Although the plot details are still kept under wraps, the story is a modern reimagining of the traditional fairy tale in which an orphaned girl turns into a princess. 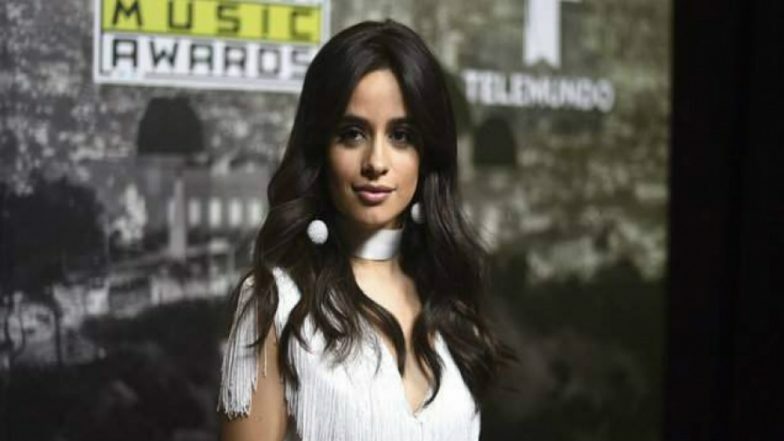 Cabello's turn to acting comes after the huge success of her solo debut album 'Camila'. She went on to earn two Grammy nominations this year and her hit single 'Havana' is the most-streamed song by a female artist on Spotify. The 22-year-old singer separated from girl group 'Fifth Harmony' at the end of 2016.